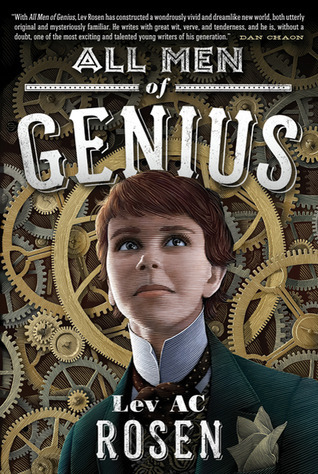 It’s a question I get a lot, although the phrasing ranges from the polite “what inspired you to write a steampunk novel based on both Wilde and Shakespeare?” to the probably more honest “what the hell made you think you could pull that off?” I’ll admit, it seems a little insane. Two plays from completely different eras used to inspire a novel which, while historical, is also complete techno-fantasy. The short answer I give, no matter how the question is asked, is “I figured if I was going to steal, it should be from the best.” This answer is good for cocktail parties (or signings, which would very often include cocktail parties), but probably needs to be unpacked a little for this post. (And, just to be clear, this isn’t a mash-up; there are a few quotes, but 99% of the writing is my own). I have a few things I feel comfortable with in my writing: I think I can create a good cast and setting, and my language is usually pretty strong, but when it comes to plot, I sometimes just sit there and stare at the screen. I love creating people and worlds; love it, all their backstory (of both people and worlds), how they came to be the way they are – I genuinely could spend hundreds of pages just describing these people, and the world. But when it comes to giving them an overarching story – something to really do – I often feel at a loss. I knew when I set out to write All Men of Genius that I wanted it to be funny. And I knew I needed to grab that plot from somewhere. So, as I’d studied a lot of theatre in college, I went to Wilde first. He was of the time period, and I’d read all of his plays several times over, written papers on them, read a few of his biographies. People even said I looked like him (back when I had longer hair). Wilde was easy. But The Importance of Being Earnest, while brilliant, is a social play, a drawing room farce used to poke fun at society. What happens in it is just a dance of relationships; there’s confusion, but no real fighting, nothing I could build up on it’s own into the sort of adventure I wanted. So next I turned to the master. I thought to myself, “Shakespeare pretty much took All The Plots and made a play from each of them. He’s the archetype, the way to go.” And I’ve always loved Twelfth Night. It gave me something to latch onto: the girl dressed as a boy somewhere she wasn’t supposed to be, intrigue, the comedic villain who I could easily turn more sinister. It all fell together in a sudden snap, and I knew exactly what my plot was going to be. I knew how I’d piece together both the plays; I’d use the report of a false death from Earnest, and the false love notes from Twelfth Night. I’d use this scene and that one. And because both plays hinged so centrally on identity, they blended excellently. So excellently, in fact, that I began to build on them; I threw in blackmail, killer robots, and swearing rabbits. It came together so naturally that I didn’t even think about how odd or ambitious the idea was until someone asked me what I was working on, and when I told them, said “where in God’s name did you get that idea?” I didn’t really have an answer because it all seemed to come so organically from my mind. So I said, “I figured I’d steal from the best.” And they laughed and told me I was crazy. They were undoubtedly right. But I still think what I’ve done must be a good idea, because it all came together so easily. And the best part is hearing from people who’ve never read or seen either play, who still love the book, and who then go out to see the plays. That’s really cool. But as to the inspiration, I’m sticking with my short answer: I always steal from the best. What a perfect response! It never occurred to me that combining Twelfth Night and The Importance of Being Earnest wasn't a thing that most people would do, but you did it fantastically.